Boy do I have a delicious recipe to add to your wheelhouse! 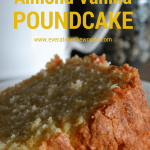 This moist vanilla almond pound cake recipe is perfection. This cake does not even need icing- that is how good it is! My two-year old agrees! For this recipe I used Nielsen-Massey Vanilla Extract and Almond Extract. Excellent ingredients make extraordinary cakes. I have found that The Nielsen-Massey Company provides top-notch products and therefore my baked goods come out great! I also use an angel food cake pan for a show-stopping cake. In an electric mixer with the paddle attachment, cream the shortening and butter together until well combined. Add the sugar and cream for about 5-7 minutes. (mixture will double in size and be a pale yellow color) **Important do not scrimp on time on this step. Add vanilla and almond extracts and combine. Add eggs one at a time and incorporate each into mixture before adding the next. Add salt and baking powder and combine. Add the flour and milk, alternating back and forth until mixture is thick and fully combined well. Let cool completely before taking out of pan. This is definitely one of my top recipes that I have on my blog but there are even more delicious recipes here too! Give this Moist Almond Cherry Almond Cake a try or this Mocha Almond Marble bundt cake a whirl. how much cream? Step number four mentioned screen, but it is not listed as one of the ingredients! Hi Lisa! I use milk/cream interchangeably…. it is 1-1/4 cup milk or cream. Thanks for the question! I think cream is a verb here. That does look moist and delicious! Thank you Carlee, it really is! Can I use a bundt pan instead? Absolutely- just adjust your timing when baking! Test the center with a toothpick- it should come out clean. I really want to make this cake but only have bundt pans Adjust the timing to what? Hi Marie- I would go by the toothpick test at that point…. 40-50 minutes? The milk/cream goes in at step 8 with the flour, alternating the flour with the milk/cream. Can’t wait to hear how it turns out for you- its so good! I made this recipe in two 8″ and two 6″ cake pans for a two tier cake. I have made it many times and love it! Unfortunately I was making it for a Christening back in January and the snow storm hit, so it was cancelled. i froze the cakes hoping it would be rescheduled and now it is set for Feb 14. Do you think these are still okay to use? I wrapped them all twice with plastic wrap and twice with tin foil. I would think so- I make cakes all the time and freeze them. I was thinking to use a 9″ pan About 2 inches high. How long do you bake yours for? I bake mine in the angel food pan for approx. 75 minutes. You will need to adjust your cook time accordingly. I would say 45 minutes? What can I substitute the shortening for? You can substitute equal parts of butter or margarine for the shortening. However it will change the texture of the cake. Do you add milk/cream in step for as in one of the comments you said to only use the milk/cream only in step 8. I would love to make this cake for Easter but want clarity before doing so as the ingredients and directions are not clear. Thank you. Do you add milk/cream in step 4 as in one of the comments you said to only use the milk/cream in step 8? I would love to make this cake for Easter but want clarity before doing so as the ingredients and directions are not clear. Thank you! Hi Tiffany- The milk/cream ONLY goes in step 8…. in step 4 you cream (blend) the sugar and shortening together in a mixer. Let me know how you like the cake- perfect for Easter! Do you use all purpose flour or cake flour? I use all purpose flour but you could use cake flour too…. I made this pound cake Thursday night as a trial run for Thanksgiving! This was my first pound cake and it was perfect. The flavor was amazing. I wouldn’t change any of the directions noted in this recipe. My family can’t wait for me to bake again.Thanks a bunch for sharing! Awe thank you for your kind words! I am so happy that you enjoyed it! Thank you so much for taking the time to post a comment Laura! This is a go-to recipe for me and if you have leftover- make into a trifle with vanilla pudding and whipped cream- decadent! I’m a bit confused too, in step 4 you said add the sugar and cream for about 5-7 minutes? what do you mean? 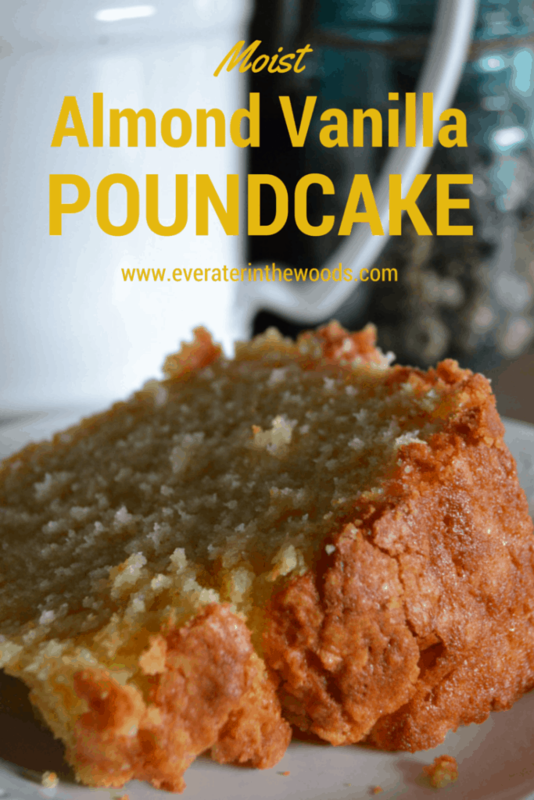 This is my go-to pound cake recipe; I’ve made it more than 5times and it came out perfectly delicious each time. Thank you so much Victoria! It is so nice of you to take the time to leave a comment. I really appreciate the feedback! Have a great night. I used an angel food pan as directed and the batter ran all over my oven from the bottom of the pan. Must use a bundt pan!!! I had to transfer to the bundt pan and a loaf pan. Cake turned out very dry. Hi Ruth sorry you had this problem- You really must use an angel food pan for the recipe because it is a high cake. Sometimes 2 part pans do leak but then you need to check and make sure the pan is clean and you have a good seal between the two parts- i have had this happen before- no fun! Sorry you had trouble- it really is a great recipe! This is my go to usually in an angel cake pan, but What would you recommend for bake time for 2 loaf pans? Oh boy- thats a hard one. Usually baking in a loaf pan is about 60 minutes. I would start checking at 50 minutes to see if it is cooked through. Can I had 1/4 cup of rum to this recipe? That sounds awesome – I would probably do 1/4 cup though. Awe thank you so much- thanks for taking the time to leave a comment!! Have a great day! Hi Jen! This recipe sounds delightful! I can’t wait to make it! What brand of shortening do you use? Thanks for asking- I usually use Crisco. Hi Jenn – the pic that is on top of this page with the name of the recipe appears to maybe be sweet potato casserole or something else? It’s not a pic of pound cake. The recipe sounds great though. I’ll have to try it! 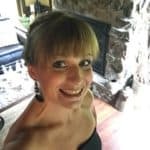 Hi Karen, Thank you so much for stopping by! The picture on top is actually the pound cake, it is just a close-up of the same photo lower down on the recipe. 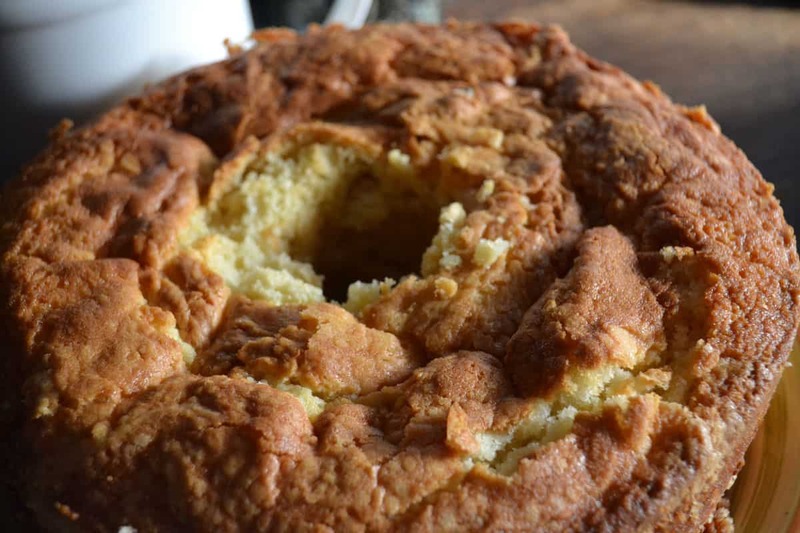 I’m an old Southern woman and I think that baking pound cakes must be part of my DNA! 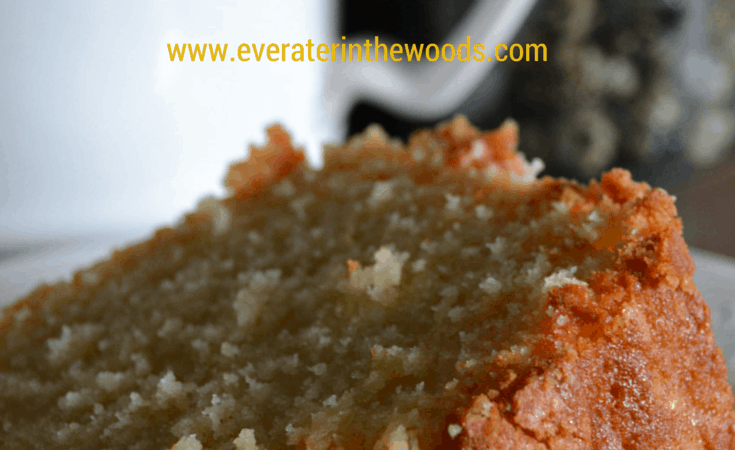 This is a lovely pound cake and the texture is perfect. My mom would have approved and my dad would have already eaten half the cake. The only change I made was to start it in a cold oven, then baked it for 90 minutes at 325. My family loves the crusty top…my very young grandchildren keep trying to break off bits. Thank you for posting this recipe. It is going into the rotation! Wow Lisa! Thank you so much for the wonderful comment…. I am so happy you enjoyed the recipe!